Why dehydrating food for long-term does not work has been on my writing list for some time. Before you get all excited about this statement, let me explain what I know. Yes, I love my dehydrator to dehydrate excess food from my garden and food I can’t eat that sits in the refrigerator before it needs to be trashed. I call this dehydrating for short term storage only. I don’t recommend dehydrating your own food for long-term storage because, in reality, it will only be good for about one year if you are lucky. Yes, you can use oxygenators and all that stuff. I tried that and I ended up throwing out all the food. It was rancid. I processed $1,200.00 of food at a local church facility in Salt Lake City, Utah. I threw it out one year later. It was a volunteer church group that did not know how many oxygenators to put in each #10 can. Plus the oxygenators were not properly supervised, meaning they were left open and no longer worked. I don’t have the money to waste and you probably don’t either. I can’t waste one penny on my food storage, I need long-term food storage, period. I get really frustrated when I see people charging for online classes or YouTubes on dehydrating food for long-term food storage. Don’t get me wrong, I believe in getting paid for work that I may do. I get it. I lose patience when people are trying to sell the idea that you can dehydrate food with a dehydrator at home when you read the experts are telling us another story. The truth is, you are lucky to get a shelf-life of one year. I realize under certain conditions you may get 2-3 years out of your own dehydrated food if you keep the temperature in your storage area at 60 degrees. That’s not going to happen at my house, or most other homes I’m aware of. As far as short term food storage goes you can read all the posts on my blog for FREE or use the book that comes with your dehydrator. There are some definite foods you cannot or would not want to dehydrate, but the books tell you those items. My dehydrator book states “poor” results on those food items. By now you probably know I mainly buy freeze dried food storage products. They typically last longer, a lot longer. Sometimes four to five times longer. But I also buy some dehydrated vegetables, but very little because their shelf life is so much shorter. Freeze dried food is more expensive but I have never had to throw out any of it out. Ever. 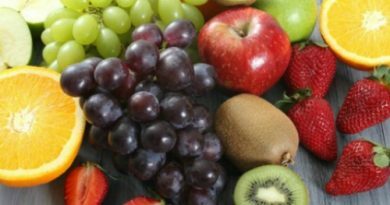 The main reason I buy freeze dried food is that it has one component, the vegetables or the fruits. Nothing else is in the cans. In most cases, I can eat the food straight from the can. I have said from day one, “buy one can at a time.” I can’t go out and buy a pallet of food and have it delivered to my home. I buy a can a month or a case of food depending on my budget. Not all #10 cans are equal in ounces, just because it is a #10 can it may weigh a whole lot less and cost more than other #10 cans. Be sure and consider shipping costs, the shipping might be cheaper but is the food more expensive than their competitor? I add the shipping costs and figure out how much I am paying per ounce on every #10 can. Look at the ingredients, if you can’t pronounce it put the can down and walk away. Make sure you know where the food in your #10 cans is coming from, what country is the supplier getting the food from? Check the expiration dates, most companies put a date that tells us when the food was packaged AND will state the shelf life. Every supplier is different, ask questions. Remember temperature is everything. Our food will not last 20-25 years if it’s stored in a 105-degree garage. Nope, it won’t! I also can’t guarantee I can keep my house at 60 degrees. That’s not going to happen with the cost of utilities in my neighborhood during the summer. Decide if you want to make meals with your food storage or buy ready to eat meals by adding just water. If you can’t eat the pasta, for instance, in the stated shelf-life time period stated on the can, buy less of that product. Rotate the food you have and learn to use it every day. I’m going to try and explain about dehydrated food. The symbol or the letter (D) means dehydrated when we order or shop for food storage. If it has no symbol like (FD) it’s dehydrated and therefore, we should know it is dehydrated and not (FD-freeze dried). Maybe it’s just me, but when I first starting buying the #10 cans I had to look twice to see if the can was freeze-dried or dehydrated. You will see most cans have freeze-dried prominently shown on the order form as well as the #10 cans or pouches, etc. at any given store if they are freeze dried. If you are new to shopping or ordering online it’s confusing because they assume we KNOW it’s dehydrated if the product says “carrots” without a (D) or (FD)…..well I didn’t know. I hope this helps you as you continue to order and build your long-term food storage. Okay….most of us buy dehydrated food every day. We purchase cereal, spices, pasta, beans, baking mixes, etc. Dehydrated is the way the water has been removed from the products. The water is slowly cooked out of the food without actually cooking it. It’s one of the most affordable, light-weight and compact ways to purchase food for our storage or everyday cooking. We need to be aware of the dehydrated term…it generally takes longer to cook. Generally, you can’t “snack” on it right out of the can. It’s too hard. This is fine for soups, stews, etc. 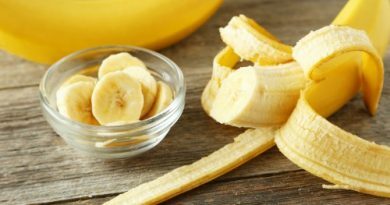 We need to remember that typically dehydrated food does not last as long as freeze dried. It usually has a shelf life of 5-8 years. They usually have an OPEN shelf life of 6 months to 1 year. Please read the information provided by the companies you purchase from. I made the mistake of purchasing a can of freeze dried turkey and ham….and then realized if opened….it had to be used within two weeks. Yep, I am saving those two cans to make omelets for the neighborhood when a disaster strikes….or just for fun with the neighborhood someday! Please learn from me…read the cans or pouches. I buy both freeze-dried and dehydrated. They are both good choices depending on your plans for their use. I’m going to give you my opinion on freeze dried food. Freeze dried or (FD), you will see this when you order your food storage, is a special process to dehydrate the food. The freeze-dried method is first, flash frozen then a low-level heat is applied to the product inside a vacuum chamber. The finished product is a premium or superior end product. In most cases, you can usually eat the food directly out of the can. They re-hydrate quickly and taste as close to their freshly picked original flavor and texture as possible. The nutrition is higher than the regular dehydrated way of preserving. You should really try the corn, green beans, and peas right out of the can. Okay, the strawberries, pineapple, and apples are delicious as well. Great snacks! 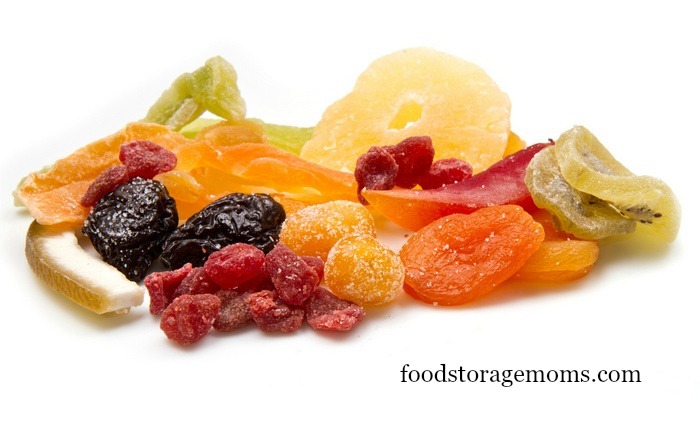 When I teach classes I have served every freeze dried fruit or vegetable available on the market. I have made chicken salad, tacos, lasagna, chicken enchiladas, etc. with freeze dried meats. You can’t tell the difference from fresh. I really love freeze dried cheese. I have cheddar, Colby, mozzarella, and Monterey Jack freeze dried cheese. They typically have a shelf life of 20 years unopened and TWO years opened!!! I never throw out moldy cheese anymore. Every food storage company has a different shelf life. If the temperature of the area we store our food is higher than 60-70 degrees the shelf life will be shortened as well. Yes, you might think freeze dried is more expensive. I like buying freeze dried for two reasons. I can cook every day with it and I save money because I’m not going to the store when I run out of something. I like the idea I can eat the fruit and vegetables as a quick snack directly out of the can. I like the fact that it cooks quicker than dehydrated. I am also a fan of freeze-dried foods. I’ve been so ever since I was a backpacker back in the 70’s. I mean, hello! I went from Pemmican bars and jerky to Chili Mac and Neapolitan Ice Cream on my trips. Of course I usually had fresh caught trout too, but that’s all together different. I had no idea my dehydrated veggies would only last a year though. Seems like I’ve used them without ill effect after they’ve been on the shelf longer than that. And my canned goods–especially the pressure canned ones–definitely last far longer than one year. I’ve eaten self-canned blueberry pie filling that was five years old and it was delicious. I’ve never tasted my peaches like that though. Linda – I love your posts. I always learn so much. Thanks for sharing all your fabulous knowledge. I feel the same way through my experiences with dehydrated and freeze dried foods. My question is what is your favorite BRAND of dehydrated and freeze dried foods. There are so many and they do come in different weights. So when it comes to Mountain House (which I’ve been buying the longest), Thrive, Legacy, which is advertising on your site, Emergency Essentials (I’ve used for years) Eden, etc., etc. which ones do you think are best? This reminds me of a conversation my daughter and I had the other day. 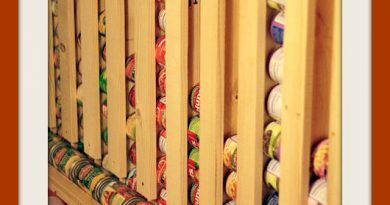 With all the natural disasters this last few weeks, we have been talking about off the shelf canned goods. I said remember that once you open, say, that can of frank & beans; how are you going to store the remainder with out any power. Consider the size of your canned goods to the ratio of your family. You’re dead wrong. Dried fat free meats put in mylar bags and oxygen absorbers will last a long, long time. A guy I read about pulled out his dried beef jerky out of a mylar bag WITHOUT oxygen absorber 10 years later and ate it and it was all good.